We know that Resident Evil Revelations 2 stars Resident Evil 2 lead Claire Redfield and newcomer Moira Burton, but will these two be the only playable characters in the game's adventure? The game's ESRB rating, obviously an "M," seems to think that another character could be thrown into this mix as well. "This is an action-adventure game in which players assume the roles of an imprisoned woman and a father searching for his daughter on an island." The character Moira Burton is the daughter of the first Resident Evil's supporting cast member Barry Burton, who has been a fan favorite of the series despite appearing in only one game. If the ESRB rating is correct, then perhaps you will have the opportunity to play as this endearing "father" figure canonically for the first time in Resident Evil Revelations 2. However, I doubt he will be a mainstay in the game's campaign. Much of Resident Evil Revelation 2's hype and mechanics are built around the dynamic between Claire and Moira's abilities. Claire is the gun-wielding fighter, and Moira acts as back-up using a flashlight to highlight hidden items and a crowbar to open doors. Having Barry Burton as a playable character would throw off the game's central mechanic and relationship. My guess is that Barry makes an appearance in the beginning and is briefly playable in the opening scene after hiring Claire to help find his missing daughter. After that though, he is the one who ends up missing on the island, and Claire and Moira in turn have to find him. That would make the ESRB description spoiler free since it only describes the opening minutes. Either way, you know that Barry is going to be playable for at least a small portion, because Capcom needs his character model for Raid Mode. 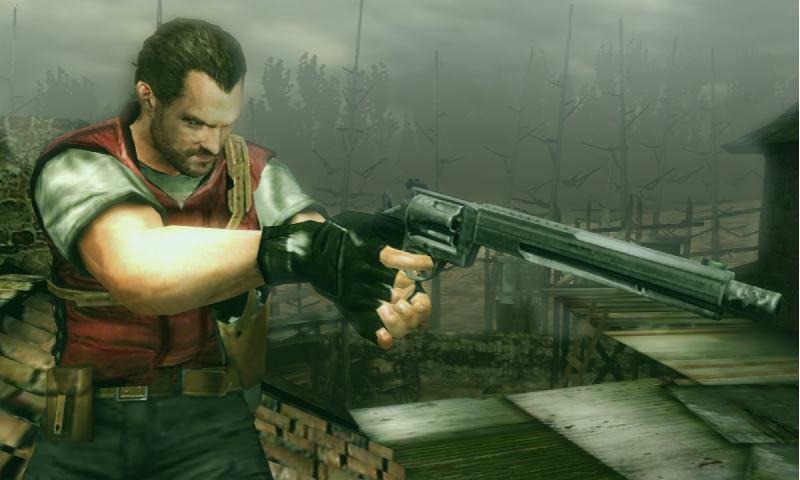 He's a popular character, and if you've never had the chance to see why, Capcom is also releasing Resident Evil HD Remaster alongside Revelations 2, the game in which Barry has all of his canonical appearance in the series. It's a perfect opportunity to find out all there is to know about him. Resident Evil Revelations 2 will be released in early 2015, rumored to be February, for the PlayStation 3, PlayStation 4, Xbox 360, Xbox One, and PC. It will be an episodic release with four chapters coming out over the course of a month.